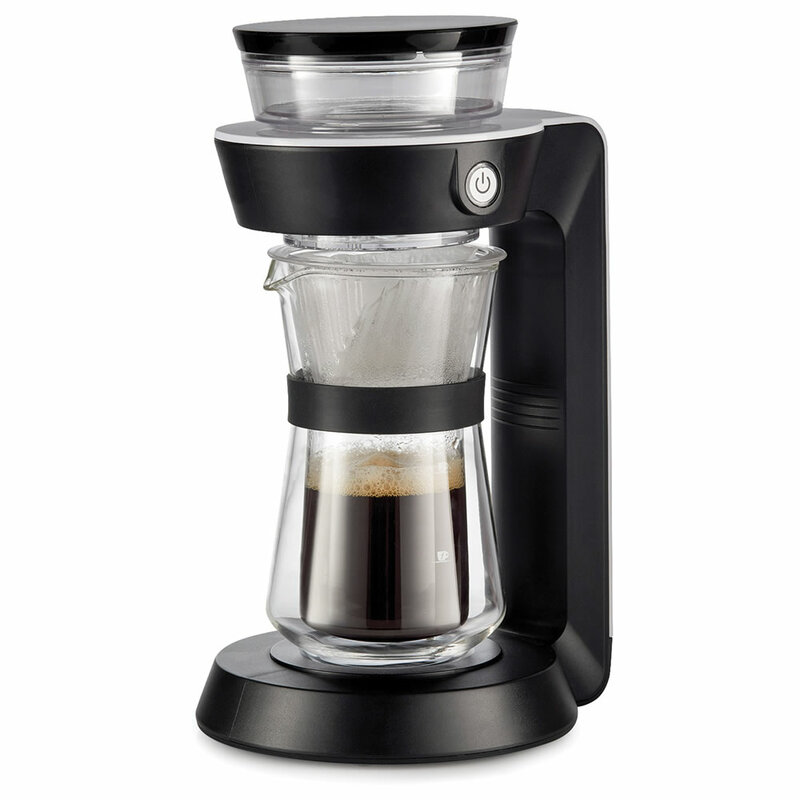 This is the hands-free pour-over coffee station that crafts barista-quality coffee while you go about your morning routine. The traditional process—updated with 21st century technology—delivers a flavorful 12-oz. cup in less than four minutes. 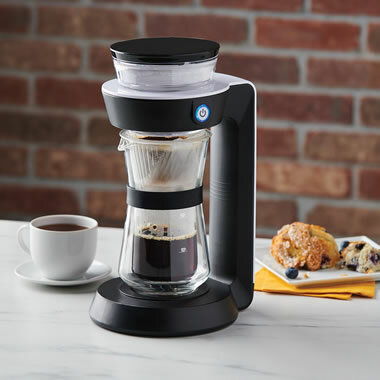 The water reservoir completes three full cycles per minute employing a consistent and slow drip while the double wall glass carafe preserves the flavor profile of your favorite blend. Includes three AA batteries. 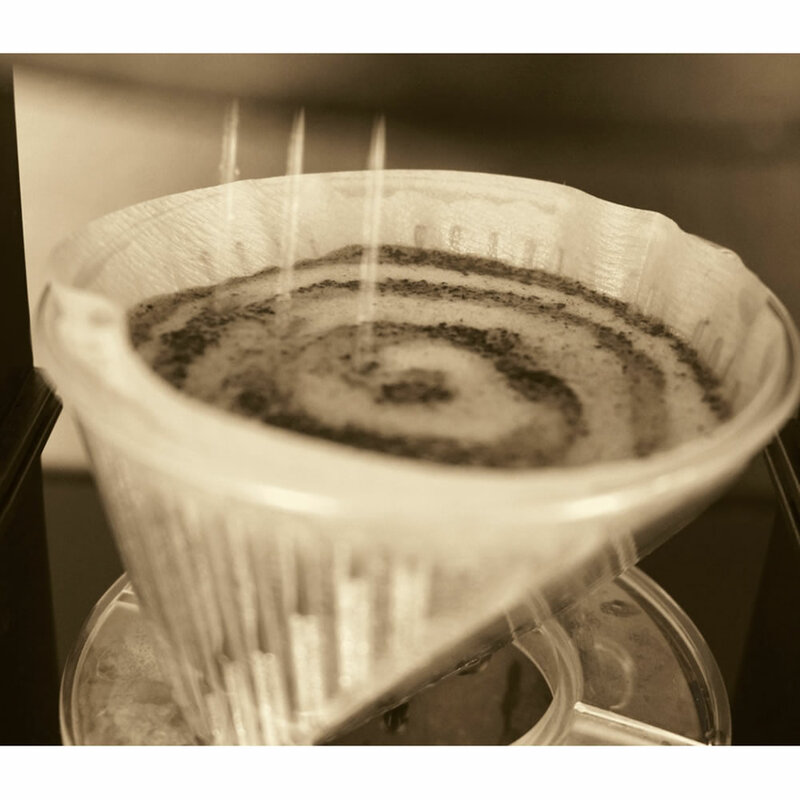 11 3/4" H x 6 1/4" W x 6 3/4" D.
The Robotic Pour Over Coffee Maker comes with The Hammacher Schlemmer Lifetime Guarantee. Items that we sell are guaranteed for their normal life under standard non-commercial use.